I’ve been in Asia of late, and finished up at the Conservation Asia conference. This isn’t just a place to present your own research, but also a place to learn more about what it happening elsewhere. I like to go to sessions I know little about. Especially the fields of conservation biology that tend to be neglected. So amphibians and arthropod conservation tends to draw me in. I think it’s no secret that there is a strong bias towards terrestrial birds and mammals in both policy and biology. Nonetheless, I did pop into some of the carnivore sessions, and well, got some good updates on the status of the Sumatran tiger. The Sumatran tiger is the only tiger subspecies that survives in Indonesia (both the Java and Bali tiger subspecies have become extinct). Sumatra is also a tough island to survive in. Deforestation, human population growth, and poaching are portent threats. Camera traps have really revolutionised population surveys for many species. In the past, tiger numbers were estimated from indirect evidence, such as tracks and other spoors. Camera traps operate on the animal triggering a sensor, that automatically takes a picture of the animal. With digital technology, the camera traps can operate for weeks or months, collecting a record over a wide range of habitat. Hundreds can be deployed effectively to sample an area. 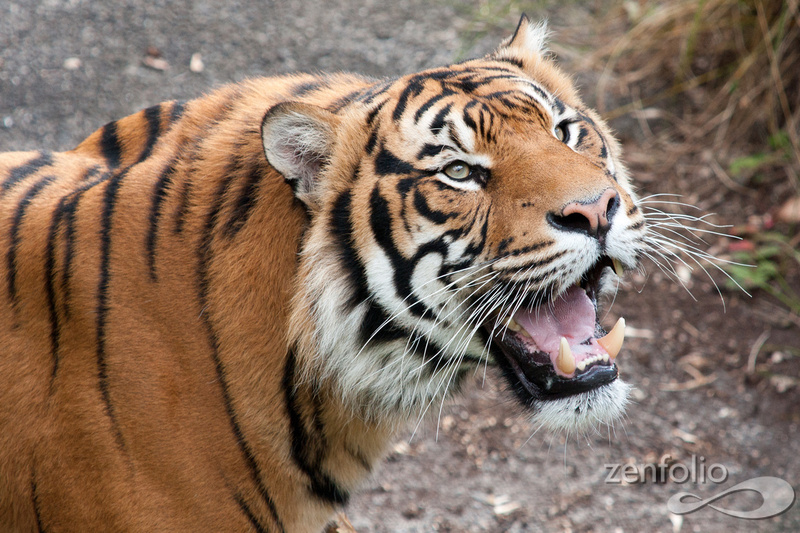 So, the estimated numbers in 2010 were 300 Sumatran tigers. (This estimate predates the much more widespread use of camera traps). The latest IUCN estimate is 670 tigers. And the work by Matthew Luskin and others estimate 625-875, centering on 679. So there is agreement there are more Sumatran tigers than a decade ago. That’s the good news. The outcome seems to have been generated by an increase in tiger densities. Tigers have become more common in the 6 landscapes they inhabit in Sumatra. The main reason is the increased efforts to suppress poaching. So we should be seeing increasing tiger numbers with this. The bad news is that suitable habitat is still being lost. So the available range for tigers continues to shrink. And the increase in local densities seems to be masking some of that effect.